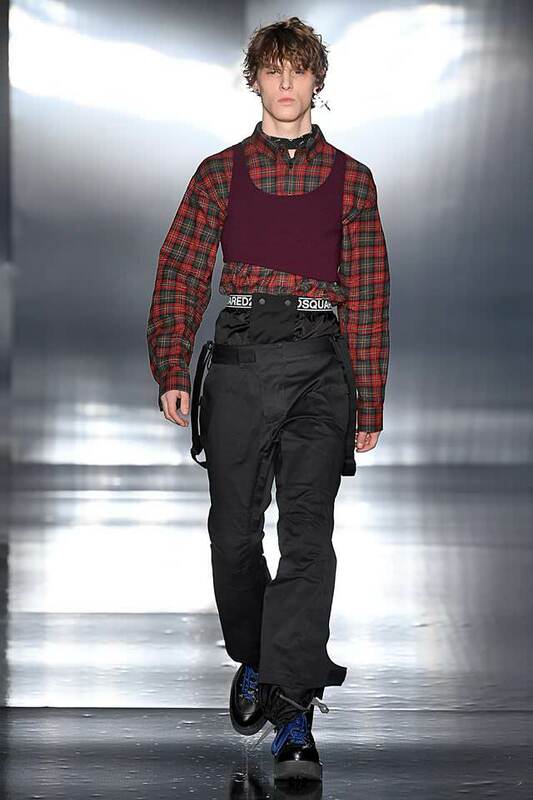 Dsquared2 Fall/Winter 2019 Men’s Fashion Show in a flash of electric colours, their waists looped in metal studded belts and enough attitude to work a crowd into a frenzy, the rock stars of Dsquared2 Autumn Winter 2019 are climbing mountains instead. Stage style looks are built for adventurous expeditions. A dark, wintery exploration on tie-dye psychedelic tones and patterns throughout the collection contrasts with the stark white snow of the mountain caps.